MergePro is an extremely fast, accurate, and reliable tri-bureau merge engine. Virtually nothing in this merge is hard-coded; not any of the credit definitions used nor the merge logic itself. 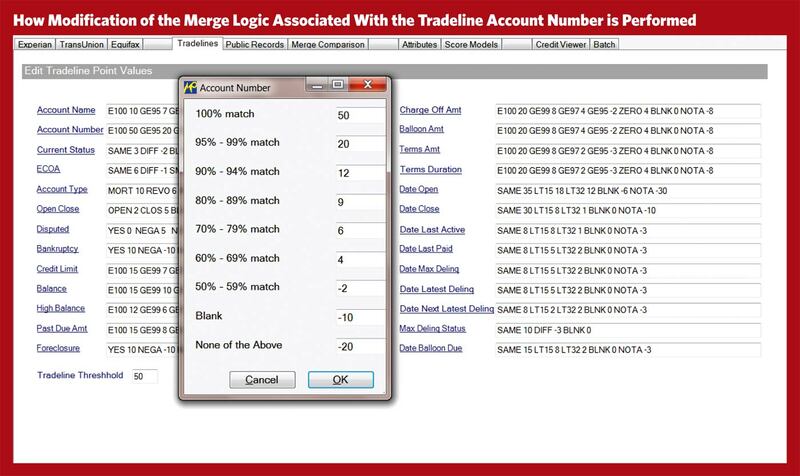 MergePro utilizes almost all of the tradeline data when determining whether two trades should merge. This results in an extremely accurate merged credit report. 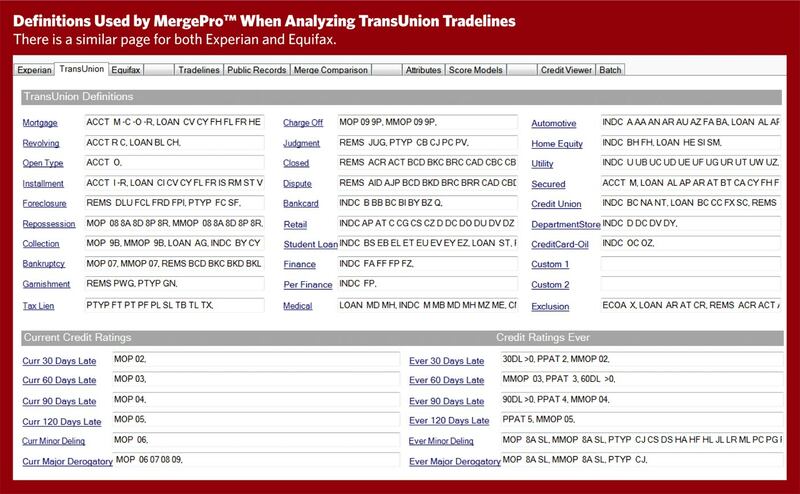 In fact, a national credit bureau found MergePro to be the most accurate merge engine in use today. It almost always takes less than 1/10 of a second to turn three average-sized raw infiles into a merged XML credit report. The merge was written entirely in the C programming language and can be run on any major operating system. It has already been ported to Windows XP, Windows 7, UNIX, and many different flavors of Linux. MergePro not only accepts credit data repository in-files but also MISMO XML credit reports, enabling users to merge an infile into an existing MISMO credit report. 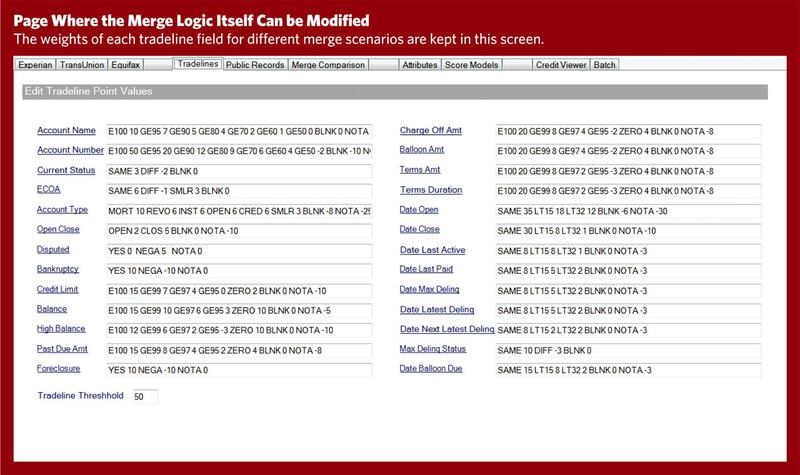 MergePro’s flexibility enables repository changes to be easily added to the merge. For example, if Experian issues a new release with a dozen new Special Comment codes, simply determine which definitions are impacted and edit those definitions with our GUI. Anyone in your organization could do it and it would take only a few minutes! MergePro allows unlimited merge configurations to run at the same time, giving users the flexibility to make customer-specific changes to the merge definitions and logic without affecting any of their other customers.